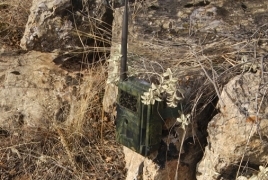 PanARMENIAN.Net - The Caucasus Wildlife Refuge (CWR) has become a safe haven for the Caucasian leopard. Cameras located in the area spotted the movements of the leopard for the third time in January. This is another proof that the habitat is safe and there is enough food for the large feline which caught the interest of biologists and wildlife advocates.